Hello all you great people! I did The Great Gatsby inspired nails, and I love them a lot! 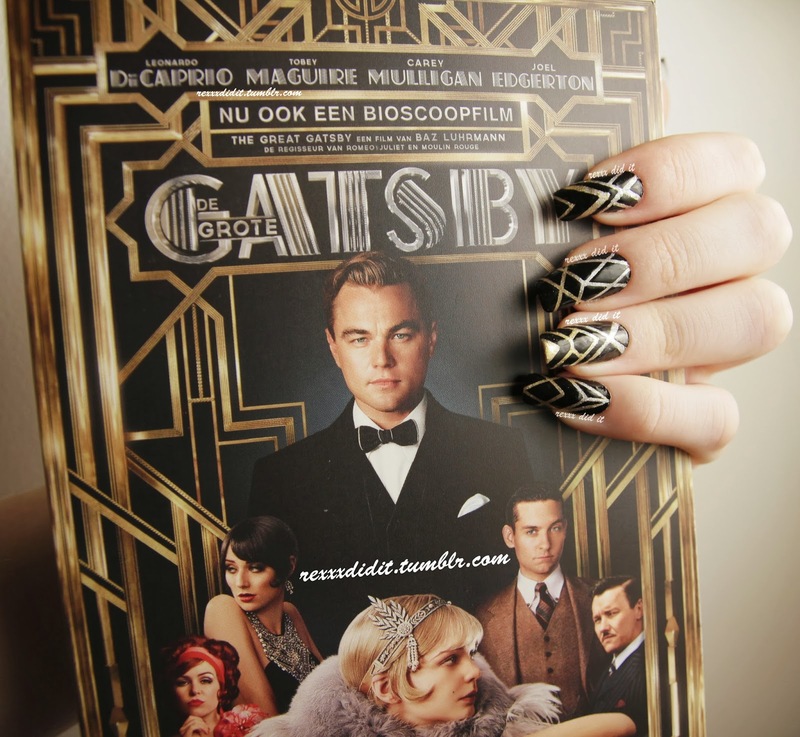 I always loved Great Gatsby nail art, I thought it was so elegant. But when the big hype about The Great Gatsby movie was around, I felt that I wasn't skilled enough to make such pretty nails. I loved The Great Gatsby movie a lot - I even went to see it twice in the cinema - but I hadn't read the book until recently. I had to write a paper about the book so it had to analyze it in detail, and I fell in love even more with The Great Gatsby. My design is based on Polly Polish' tutorial. I thought it was so fun that she first did a silver and gold gradient, so I decided to do that for my design as well. I did this gradient using a sponge. 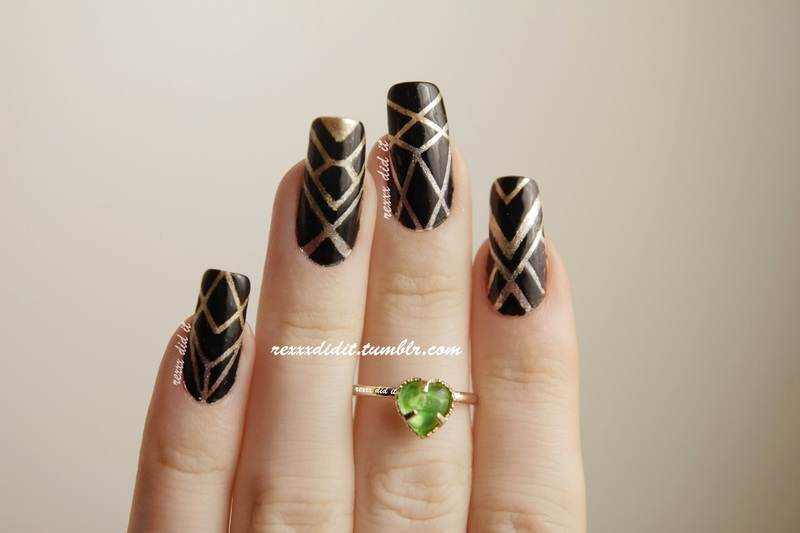 I applied a fast drying top coat and then I used striping tape to create the design. The design on my ring finger is based on the one by Polly Polish; the designs on my other fingers are my own creation. I just put striping tape on my nails and made sure my nails were properly covered. Then I painted over my nails with black polish, and while the striping tape was still wet I took it off with tweezers. What did you think of The Great Gatsby? Did you go see the movie or have you read the book? Haha, it was quite alright actually, only the placing of the striping tape was to go crazy over :) Thank you! Hi, I am your newest follower. I love what you did here, great movie stunning nails! I love your pictures too, you put your art in evidence in the best way, congratulations for that!